I want to begin by saying that I understand 'tough decisions' need to be made, If this were my company I too would be looking at what we could do not just to survive, but to improve. Our profits are down, clothing and home are struggling and the staff who are dealing with customers on the shop floor every day, listening to them and their concerns we feel it. We know how difficult the past few years have been not just for Marks and Spencer, but for retail in general. You only have to look at B.H.S as a stark reminder of how fragile things have become. Nobody wants to see the closure of another high street favourite. We don't want to lose our jobs or to see yet another empty shop turned into a Poundland. So we do understand that things need to change, but surely not at the expense of some of your most long serving, experienced and loyal staff? I, just like you am an 'M&S' lifer. I started work at the Chester store in May 1996 as a Saturday girl, I had just turned 16 and worked 8 til 2 on the Ladies Casual wear department, I loved it. I used to be so excited going up to the office when I finished my shift to get my brown envelope containing my wages. Which in hindsight, I really should have put some of aside for a 'rainy day' like my Dad suggested, but there we are. Everybody was so friendly in the store, they were like a family to me, in fact they still are. Do you know why Steve? Because most of the people I started working with 20 years ago are still there now, loyal staff who really are passionate about their job, about M&S. They put money in the tills for you by doing the weekly food shop, buying the kids school uniforms, underwear, Percy Pigs for the kids treats, their Mum's nighties! My personal favourites? Is our Formula skincare it beats anything else on the high street in my opinion in terms of its cost and quality, and our jeggings. I tell anyone who will listen what a excellent fit and price they are. I don't do this as I am told to, I do it because I genuinely believe in the product. I, like the rest of your staff in Chester store take pride in what we do and are proud to recommend our products. These are the M&S lifers who have been there through the good times, the bad times and the plain ugly times (for me this was watching two women the age of my Nana fighting over the last bag of brussel sprouts one Christmas Eve true story). When Sunday openings first began Marks and Spencer did not agree with opening like our competitors. In Chester they had a sign that would be put on the doors on a Sunday explaining to our customers why they felt the shouldn't open, that staff worked hard and deserved the time with family. Do you remember that Steve? I do. I remember thinking what a nice company I worked for, a company that cared about it's employees and their needs as well as the needs of the business. Ultimately though we needed to move with the times, we needed to follow what the rest of the high street were doing and give the customers what they wanted, and they wanted to shop with us on a Sunday. So open we did. I didn't want to work on a Sunday to be honest as I liked spending time with my family, and when I say spending time with my family I really mean that and do not mean sleeping off a hangover and watching the Hollyoaks omnibus (honest) A lot of the staff were against it at first as you can probably remember but we we couldn't operate as a store, we couldn't open for our customers with no staff so they introduced the Sunday premium, double pay for working a Sunday. I did not ask for this compensation it was offered to me as part of my new contract. I worked every weekend then and continued to do so when I went off to University, I was supposed to get a degree in English you see and become a teacher, that was if my first choice of becoming an actress and marrying Leonardo DiCaprio didn't work out of course. Sadly I never finished my degree and I can promise you now more than ever, that is the biggest regret of my life. My Dad always said I'd regret it, he'd of loved to of been proven right. I started working full time in 2002 and that's the year I met my husband, we worked every other weekend then and he was paid the Sunday premium as well. 14 years have passed in the blink of an eye. We got married, had a baby, moved house, life happened. We still both work every other weekend now, it's not ideal with a little girl who is at school as you can imagine with children yourself, but working in retail never is. Bank holidays, Boxing day in particular when we are both at work is a real low point for us, but again we were compensated and we make it work the best we can. We aren't rich in the material sense but we're safe,settled and happy. That is all anyone can really want out of life really isn't it? But we aren't feeling safe or secure right now. You see we are one of the 'unfortunate few' that you mentioned who are going to worse off if the proposal goes through. Do you know how much money that is to us Steve? We will lose £400 each month between us, £400. That isn't a lot of money to you, it might not be for some people but it is to us, it is an awful lot of money, in fact that's our house that you are holding in your hands. So when you stand there and discuss how it's unfortunate that a 'few' will be worse off, but hey 62,000 staff will be better off. When you say your proposal will reward people in a "fair and consistent way" I am angry, it feels like the past 20 years have been thrown back in my face, my husbands too. I've had my pack through I see that you are helping us for the next two years by paying us 30% of what we will actually lose overall, I cried when I saw that figure. Do you know I was finally going to finish my degree? I was going to start with the Open University. My credits from my last University can be transferred over, it's the last year they are able to do that. It would have been a struggle but worth it, there is no way we can afford for me to take that opportunity now. I feel like you've taken away my future, our daughters future. I feel hopeless, I feel scared and I have no idea what on earth we are going to do. I have no answers, no magic solution to make this better but what I do know is that if I was offered the full amount of what we would lose over those 2 years, I would feel that you as a company were at least recognising the enormity of the situation for those who will be worse off, we'd feel heard, we may even feel appreciated. It might give us unfortunate few some breathing space whilst we plan for the future. 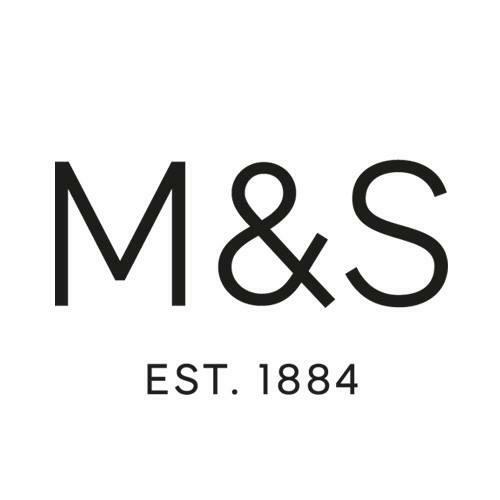 What you as a company are offering right now is an insult to the loyal service, the hard work, the experience and the pride that we long serving members of staff have given to Marks and Spencer. You say you want to attract the best of the best to the company with a higher starting salary. Did you not have the confidence in those you already had? What a shame. I look forward to hearing your response to the personal statements. Well said Rachel, I'm in my 16th year and feel like I've been kicked in the teeth! When i first started with M&S i was contracted to work every Sunday then about 5 years ago because of "maximising resources"they took 2 Sundays of me, my wages fell by a £1000 a year now they want to do it again! Very well said. I left Marks and Spencer eight years ago after 16 years and have many friends still there. The majority of my family work or worked for them at some point and we were proud to work for them. They really knew how to treat their staff and were always fair. Not anymore it seems. I hope that Mr Rowe remembers all the positives of having the best staff on the high street and reward them all accordingly rather than just bringing them in line with the rest! It is disgusting the way Marks and Spencer are treating there loyal staff. The staff who have contracts with the terms of there employment which are now not worth the paper they are written on and prove to be totally worthless as M&S can just do what they like. The staff are meant to be getting new contracts but what is the point if they mean nothing. There are other changes going to happen that the company have not yet reviled to the staff as they want them to get over this bomb she'll first. Rachel you have put your point over very well and I hope for you and your family and many others in similar situations that a multi million pound industry can come to its senses. Christine McNeil When my mum worked here M&S was a great company to work for. Freshly cooked breakfast, lunch and afternoon tea for staff, annual mammogram, and subsidised hairdresser on site. Now nothing- zilch! Staff were appreciated and treated very well. Not now ! It's all very sad. Now they are attacking the staff pay and pensions. Those at the top of course will be unaffected and don't give a damn. Capitalism at its worst. Philip Green anyone ? ?How much further can this company fall ????? Steve Rowe is said to have "worked from the bottom up" within M&S. I believe he has fundamentally and utterly forgotten how others struggle. I also believe this current situation was started well before Steve took over, more than likely by Mark Bolland. However Mr Rowe could have and SHOULD have stamped his own authority on this unsavory situation by quite simply having a review on the policy. Pensions we can all understand but taking away overtime payments is an utter disgrace and a death nell for many long standing employees of the company. This part of the policy requires a fundamental re-think...and quick. We have already experienced staff transferring stores, where possible, to off set loss of pay over travel! In MANY cases Staff are loosing thousands per year. I myself stand to loose £720 a year and I am supposed to be one of the "better off"!!! Mr Rowe, please, explain why you THINK I and many others are better off by removing hard earned wages. Really, I want to understand how you think. I mean....how worried are you about the change in salary to your wage? I have worked for M&S since Oct 2004, in all that time you have struggled with GM not because we don't sell poor goods but simply put our prices don't compete. Our clothing brands still don't attract the youngsters due to this stupid policy of "not dumming down". Our food waste could do with allocated fridge space instead of this backward policy of placing waste alongside dated products. Unlike our competitors. We as the assistants on the floor take more complaints daily than anyone else within the company and do you really listen to us? No. Oh but you will listen to the share holders. Please....review the overtime. My fear is if you continue to go down this road of "shafting" the staff, then it doesn't go beyond the realms of possibility that some of us might consider industrial action! Regardless of Unions or not. Think on that Mr Rowe.�� From an extremely angry employee.